MangoMan Consumer Electronics, the makers of the wireless streaming dongle Teewe, announced Wednesday the launch of updates for its Teewe Theatre desktop apps. The Teewe team had previously disclosed its plans to add drag and drop torrent streaming functionality. Now available on OS X or Windows, users can start watching a video almost immediately using the Teewe Theatre app, which supports both torrent files and magnet links. 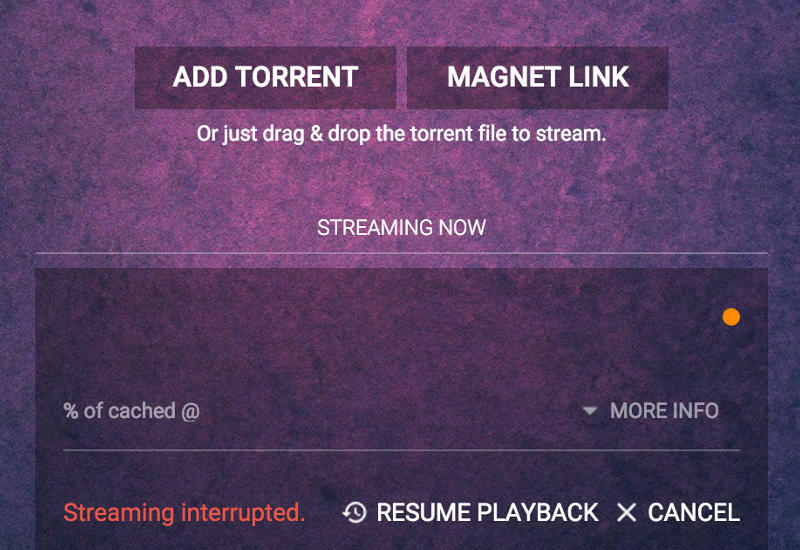 As we had pointed out earlier, there are plenty of apps that let you stream torrents on other media streaming devices, like Apple TV, Roku, and Chromecast, and the new release only brings feature parity with competitors in the fray. We tested out the torrent streaming functionality on a review unit, on a MacBook Pro with a 50Mbps connection. A popular torrent took less than a few seconds to start playing on the screen. Teewe recommends a minimum speed of 4Mbps for a smooth torrent streaming experience. The new build also boasts of improved search and filters for faster search, the company said, presenting the user’s stored media in an indexed and organised interface. “Everything is now designed in a way to get you to your movie or show, faster,” said Sai Srinivas, Co-Founder, Mango Man Consumer Electronics. “We also wanted to give our users the freedom to watch whatever they want. We’ve added some other nifty shortcuts like automatic subtitle fetch and boosted search which makes the entire experience of ‘Home Entertainment’ a far more seamless one,” he said. Teewe’s team is working on the Teewe couch, which lets users watch content off any video streaming website, like Hotstar, using a custom Web browser. The company had disclosed its plans to release an SDK early next year, meant to allow any Android developer to publish a game on their platform. Priced at Rs. 2,399, the Teewe HDMI media streaming dongle is powered by a 1.6GHz dual-core ARM Cortex-A9 processor, a quad-core GPU, 1GB of RAM, and bears support for Wi-Fi 802.11 b/g/n networks.